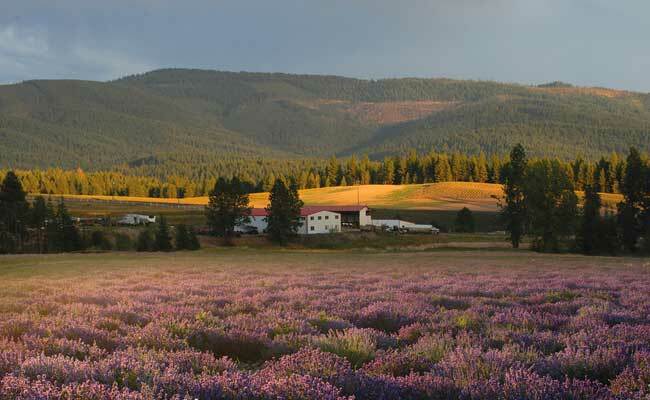 Aromatherapy oils are oils that are created from natural elements. They’re also called essential oils. They range from lavender to grapefruit and everything in between. 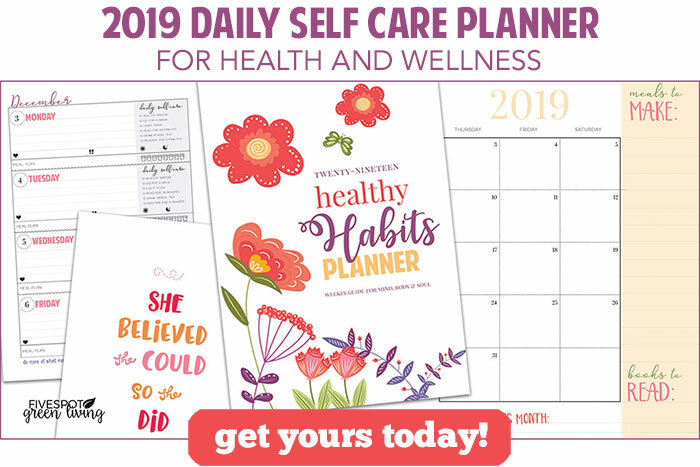 They offer a number of therapeutic benefits, cleaning help and even health benefits and there are many ways to use essential oils. Add six to eight drops of your favorite scent to a bowl of water. If the water is warm, it will help spread the scent more quickly. You could place the bowl on a table or counter. If you’re really in need of a quick freshening, simply add the drops to a pan of boiling water. Choose your essential oils based on your mood or need. For example, if you want to freshen up your home lemon, verbena, orange or other light scents are ideal. If you’re looking to relax, try lavender or sandalwood. 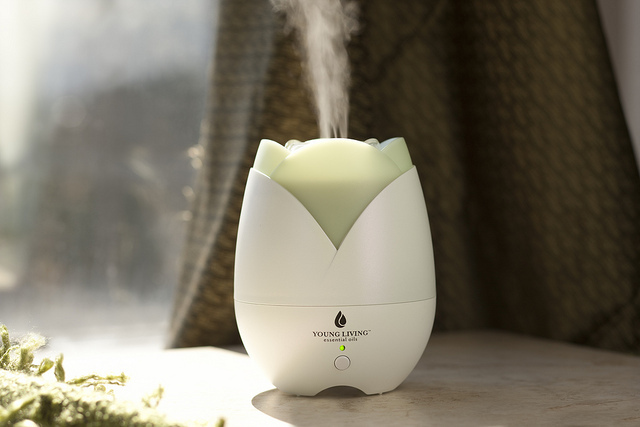 Sign up for Young Living Essential Oils and you will receive this awesome diffuser in your starter kit – no boiling water needed! Add a few drops of essential oil to water in a spray bottle. Keep a bottle in your bathroom. Spray near pet areas. Or use the spray to freshen linens. Lavender spray in your bedroom is a great way to add a relaxing scent. Add a few drops of essential oils to cotton balls and place in drawers or your closet. Lavender, cedar or sandalwood are nice choices and they help keep bugs away. 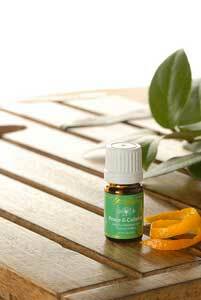 Place a few drops of essential oils on a cotton ball or wool ball and place inside a heating vent. When your furnace kicks on the blower will help spread the scent throughout your home. If you’re ill or struggling with congestion place eucalyptus oil in hot water. Consider placing the oil in a hot water vaporizer as well. Place several drops of orange, mint or lemon oil in a bucket of warm water. With a clean sponge, use the water to clean out your refrigerator. Add lemon, thyme, basil or even geranium oil to equal parts distilled white vinegar and water. Use to clean countertops in your kitchen and bathroom. Geranium oil wards off bugs and is a natural antibacterial. Place a drop of your favorite oil on your light bulbs. Make sure to add the oil when the bulbs are cold. When the light is on and the bulb heats up it will heat the oil and fill the room with scent. Consider placing lavender oil on bedroom light bulbs to relax and invigorating grapefruit or other citrus scent in your home office. Add four to six drops of lemon essential oil to half a cup of olive oil. With a clean dry rag, use the oil to polish wood furniture. Check out these great recipes for homemade potpourri using essential oils! You can use scraps from fruit and a few spice staples for an easy batch of potpourri and have your house smelling unbelievable. Linking up at Running with Spoons and Living Well Spending Less! I love this such a great list. I have been using the oils for years and have not thought of this many uses before. Thank you for sharing. Thanks for all the ideas! I never thought about cleaning counters. I love these kinds of oils I use them in my house all the time. Love this post, Vicki! It makes using EO’s so easy and accessible for those who are new to it. And Young Living is definitely the BEST! Love my oils! Thanks Sara! I am very quickly becoming a lover of YLEOs as well and realizing the difference between these oils and other brands. This is such perfect timing for our family! 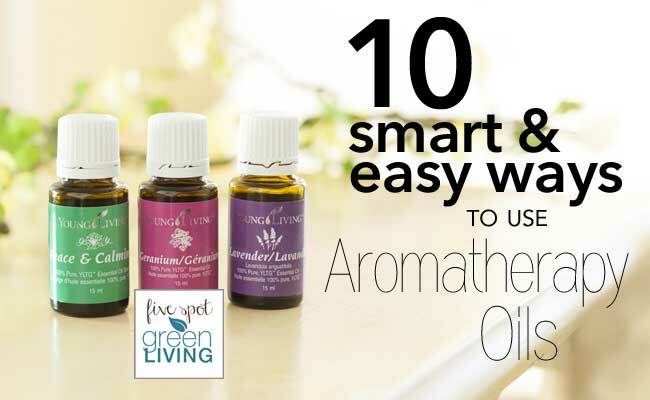 We are just starting our essential oil journey and this list is exactly what we needed. Thanks! I think that just applies to the fact that the EOs break down when they are “heated” but putting a drop on a lightbulb isn’t really heating them. Obviously the scent won’t last for hours but it will smell nice for a little while before the oil breaks down. I love essential oils but I haven’t used them for aromatherapy I might have to try this. I finally have some time on my hands. I’ve been interested in using them to deodorize our closets and bathrooms. I may get started this weekend! I really want to try essential oils! I keep hearing great things! I love YL essential oils!! So much so that I’ve been considering the thought of selling YL. I had never even thought to use them for #8 though, what an ingenious idea for freshening up a room! I like your idea to use essential oils to clean/deodorize the refrigerator. I’d love to try that. I love using eucalyptus oil when my girls are congested, it works so well! Interesting! I’ve heard a lot about the benefits of oils, but haven’t really used them. Never would have thought to use them as a heat diffuser!